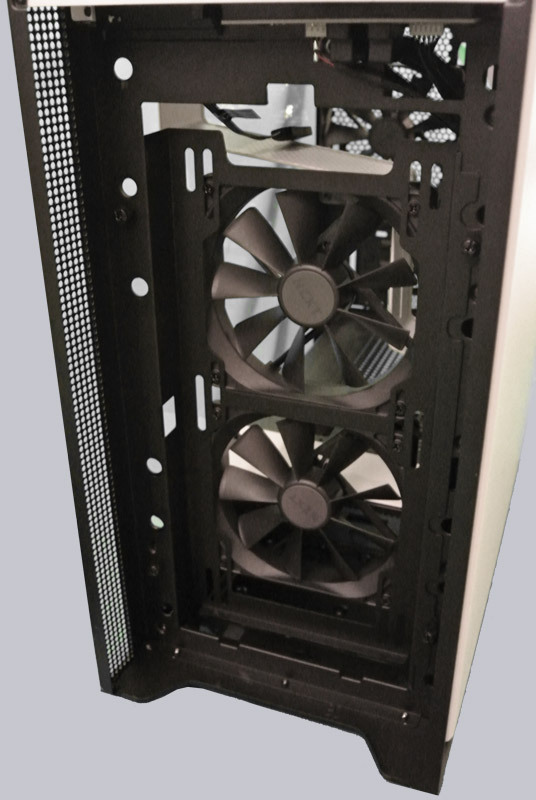 Many thanks to Itchi and the manufacturer NZXT for their support. 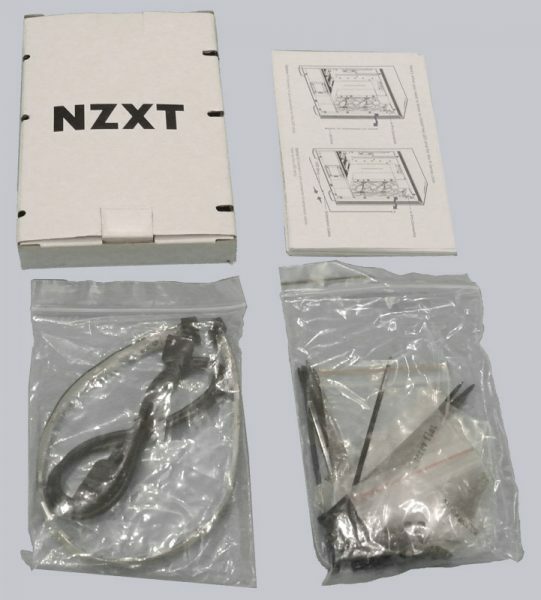 The NZXT H400i currently has a price of about 150 Euro (03/2018). 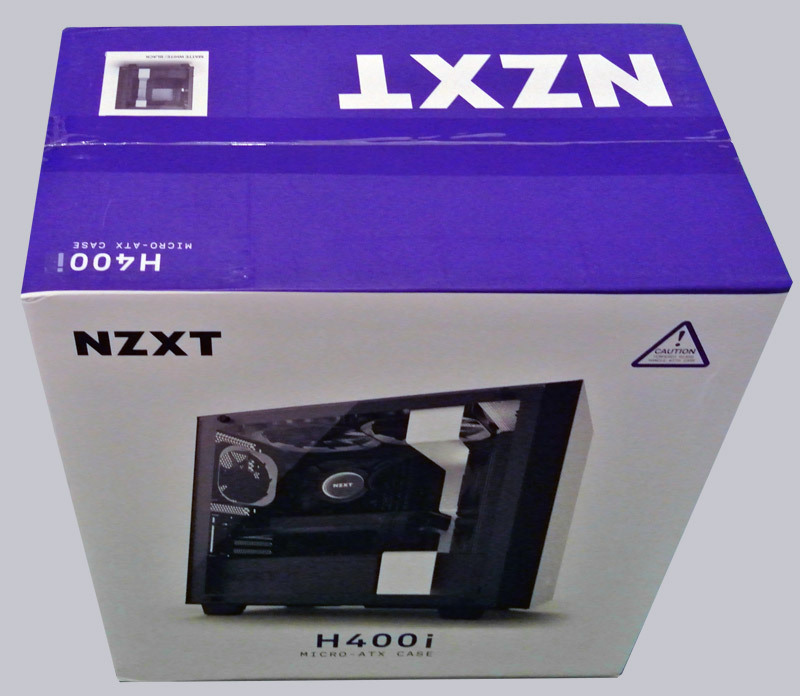 Here you can buy the NZXT H400i. The NZXT H400i comes in a standard box. 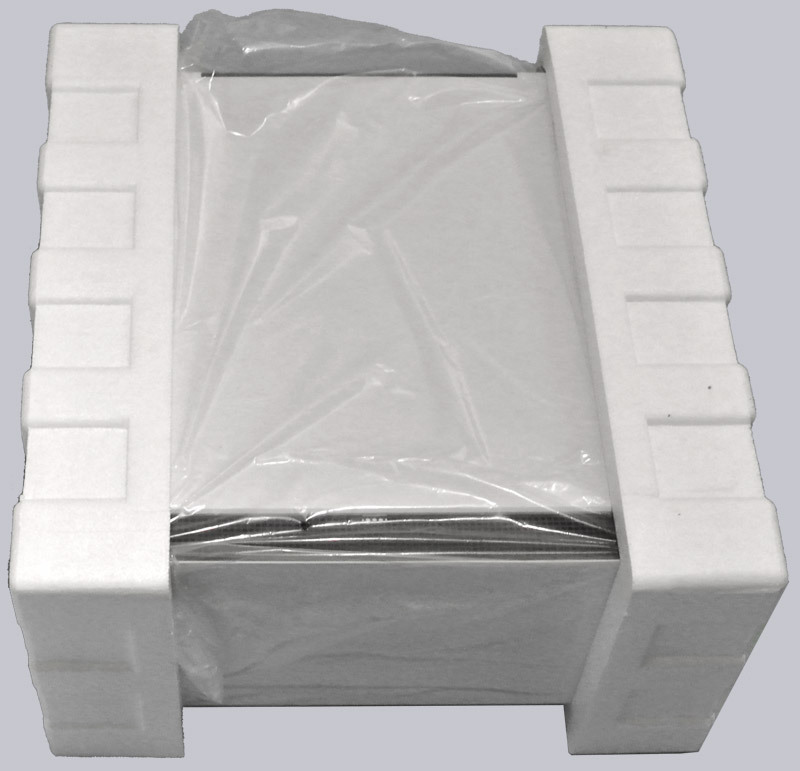 The housing is protected by two matching polystyrene parts. 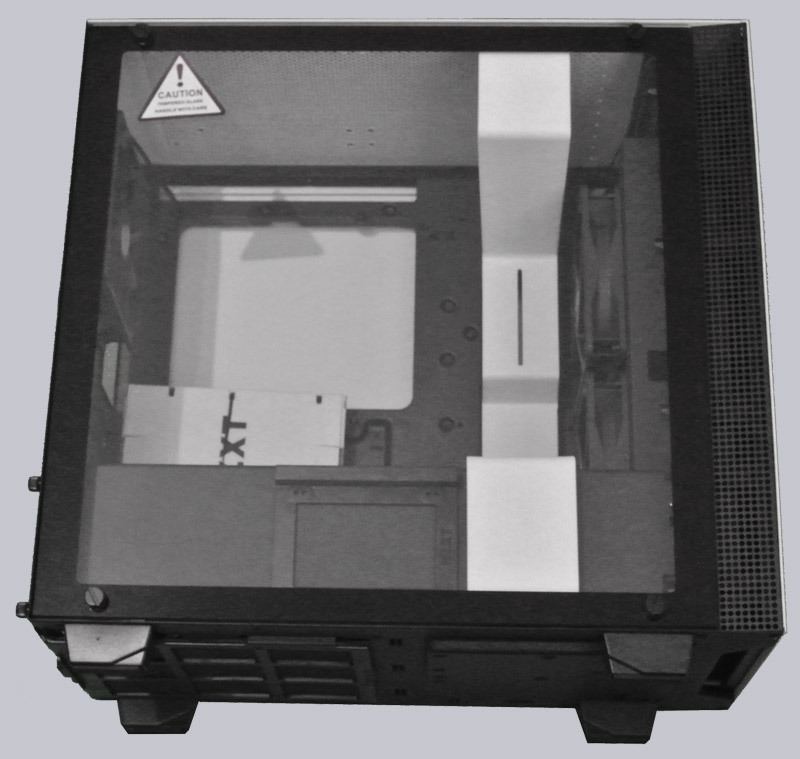 It is also wrapped in foil and the real glass panel is protected on both sides by a foil. 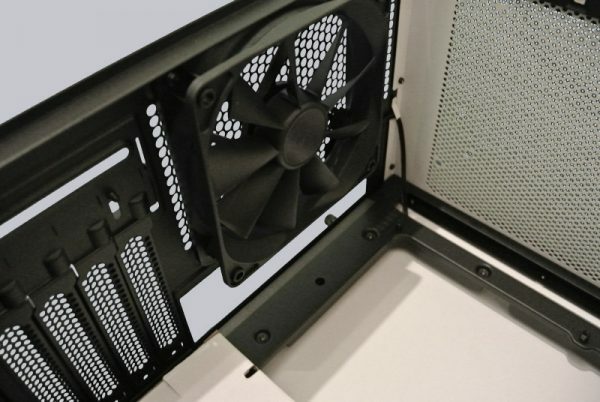 The accessories are in a small NZXT box inside the case and are mounted with a wire. Included in delivery are a short manual, a second LED Stripe and a bag with many different screws for mounting the mainboard, drives and fans. 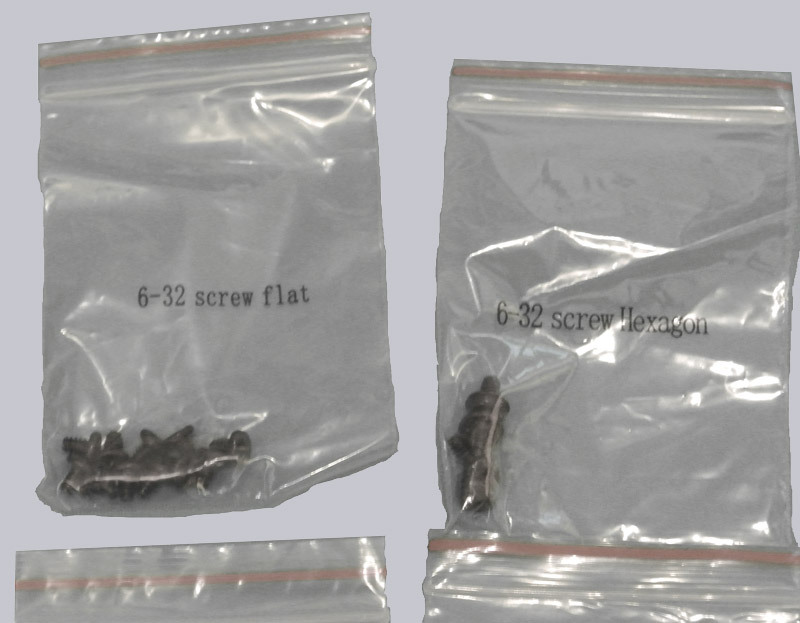 It is helpful that the bags are labeled according to their contents. … and two in the front.